In metalworking processes, several components are required such as machine tool, raw materials and proper cutting tools. For the proper cutting operation cutting fluid plays an important role. 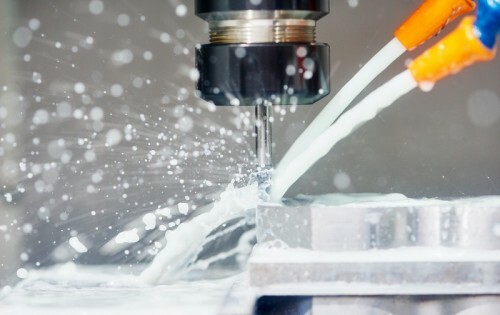 Cutting fluid is a type of coolant having lubricating properties as well which is used in almost all the metalworking processes during different machining operations such as turning, drilling and milling. When the machining is done at low cutting speed then cutting fluid required for lubrication purpose whereas when machining is done at high cutting speed then cutting fluid works as a coolant. In machining processes, different kind of cutting fluids are used as per the requirements. The selection of the cutting fluid depends on various factors such as cutting speed, work material, machining process, finishing and cutting tool. Majority cutting fluids are a kind of emulsion i.e. oil in water emulsion and remaining are simple oils, gels, air and gases. Cutting fluids are made by animal fats, plants and vegetable oils but most of them are made from petroleum distillation processes. The main function of the cutting fluid is cooling and lubrication. During machining processes, heat is generated between the cutting edge of the tool and the workpiece due to the friction that’s why lubrication helps to reduce the friction and heat generation automatically controlled. A pressurized supply of cutting fluid helps to blows the chips away from the machine bed. Cutting fluid used in machining processes should have some definite properties. These properties vary metal to metal. Cutting fluid said to be a good cutting fluid if all the following properties are satisfied by them. 1. 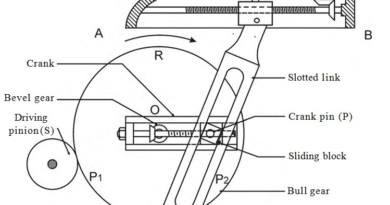 Viscosity: A proper viscous fluid is required as a cutting fluid. Different machining processes require different viscosity of the fluid. So a proper viscous fluid should be supplied at the cutting position. Most of the time low viscous cutting fluid is required because during machining continuous supply of cutting fluid is required. 2. Non-corrosive: A good cutting fluid should be non-corrosive to work material and machine components. The main motive of adding mineral oil in water is to reduce corrosive action of cutting fluid. Water emulsion based cutting fluids has good non-corrosive properties. 3. Non-toxic: Cutting fluid should be non-toxic to the working man and environment-friendly because lager amount of cutting fluid is used while machining process. 4. Good lubricant: It is another important property of the cutting fluid because cutting fluid provides lubrication between the edge of the cutting tool and the chip formed due to this heat generation and friction between the cutting tool and work interface reduced. 5. Non- reactive: Cutting fluid should be non- reactive in nature because if it is reactive then it may damage the machine components. 6. Heat transfer properties: A good cutting fluid should have high thermal conductivity, high specific heat and heat transfer coefficient also high for better heat dissipation. 1. Liquid type cutting fluids: Liquid coolant means an emulsion of oils in the water base. Water alone is a good heat conductor but we cannot use it as a cutting fluid because of its corrosive and non-lubricating action. To make proper cutting fluid mineral oils are added into the water which is known as a semi-synthetic coolant. Some other liquid cutting fluids are kerosene, motor oils etc which are used for special machining operations. 2. Semi-solid cutting fluid: Semi-solid cutting fluids are some kind gels and pastes which are used for some special applications where liquid type cutting fluids cannot work such as drilling, boring and tapping operation. They are expensive than liquid cutting fluid but they use in less quantity and no continuous supply is required. 3. Gaseous: When we talk about gaseous cutting fluid then compressed air is the best and cheapest cutting fluid because atmospheric air is used as cutting fluid. Sometimes liquid is used with the compressed air and a mist supply is provided at the cutting edge. The compressed air blows the chips away and works as a good coolant because air has good thermal conductivity. 4. Aerosols: Aerosol means mist i.e. air with small droplets of some liquid cutting fluid. We use this where only liquid cutting fluids cannot work. The liquid is properly atomized by using compressed air. The working with aerosols has an adverse effect on the operator’s health so proper ventilation and good equipment are required while using this type of cutting fluids. These are basic classification of cutting fluid. If you have any query regarding this article, ask by commenting. If you like this article, don’t forget to share it on social networks. Subscribe our website for more informative articles. Thanks for reading it.